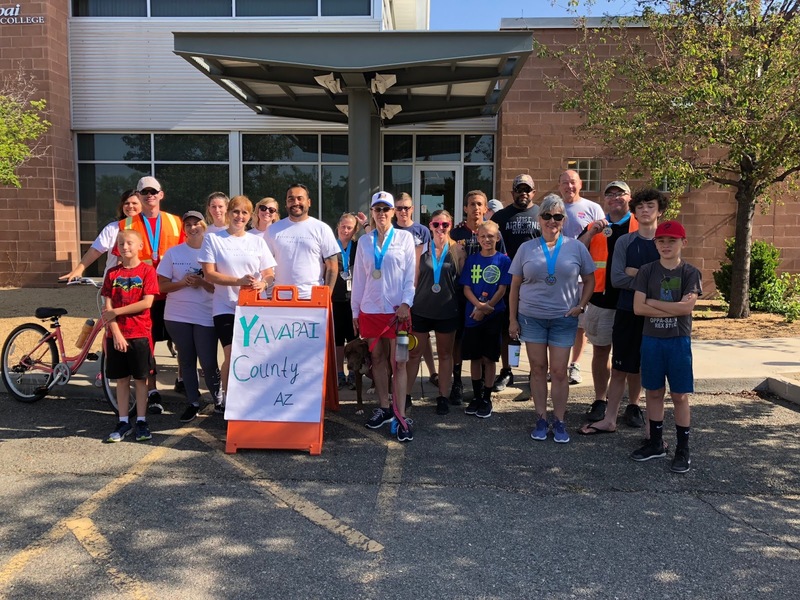 Every now and then an event comes along that catches your eye and makes you say, “I want to be part of that.” That is exactly what happened in Yavapai County Arizona with the End Violence Against Women International’s (EVAWI) Virtual 5K walk/run/bike event. I started running late in life. 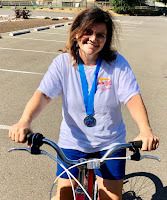 Before that, I ran to maintain my fitness enough to pass the required physical tests associated with my career as a law enforcement professional. At age 52, I was inspired by an individual whom I worked with and respected who made the decision that he was going to run a half-marathon. I found myself a year later running the Rock n’ Roll half marathon in Tempe, Arizona with a group of friends. 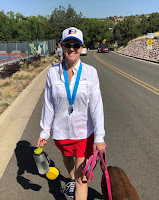 Over the next several years, I ran over 10 half marathons and numerous 10K and 5K running events. 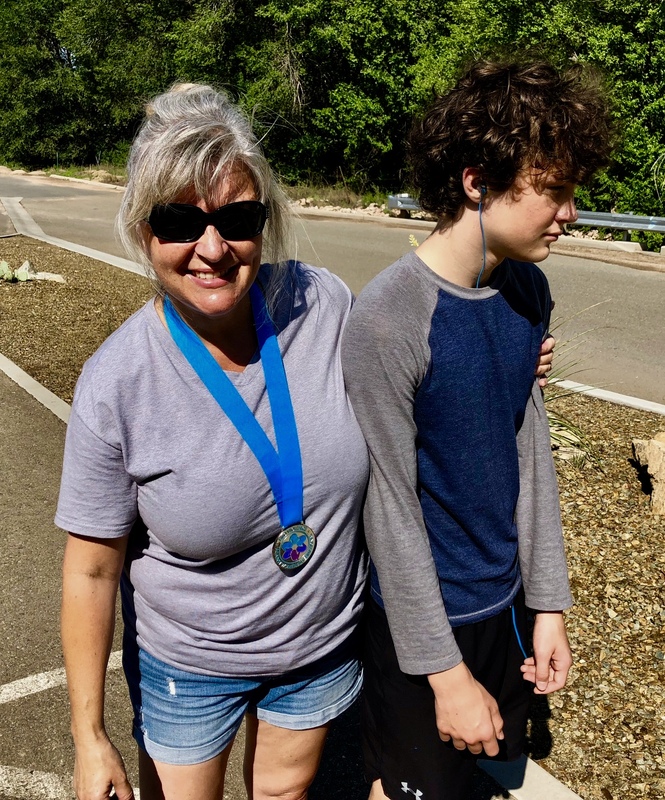 A change in jobs and a move became a letdown for me as far as my running was concerned. I basically stopped for a while. As anyone could guess, it was hard to kick-start that momentum again. 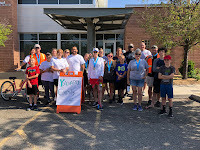 Then along comes a Virtual 5K opportunity that could be done completely on your own, or with a group. It appealed to me and I earned my EVAWI 5K medal after completing a 4-mile run right after the first of the year in 2018. Needless to say, I was excited, pumped, and felt a huge sense of accomplishment in getting back into the running groove. 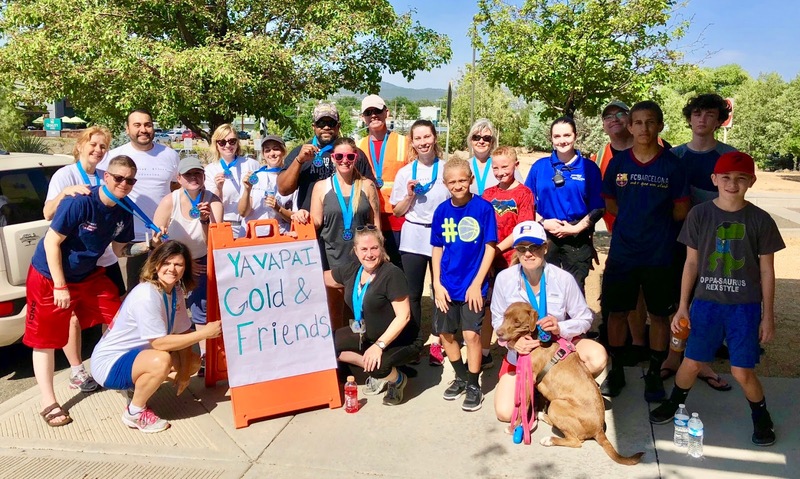 This run can be completed individually, but a friend and co-worker of mine, Sergeant James Tobin with the Yavapai College Police Department took it a step further and formed a team to participate in the walk. 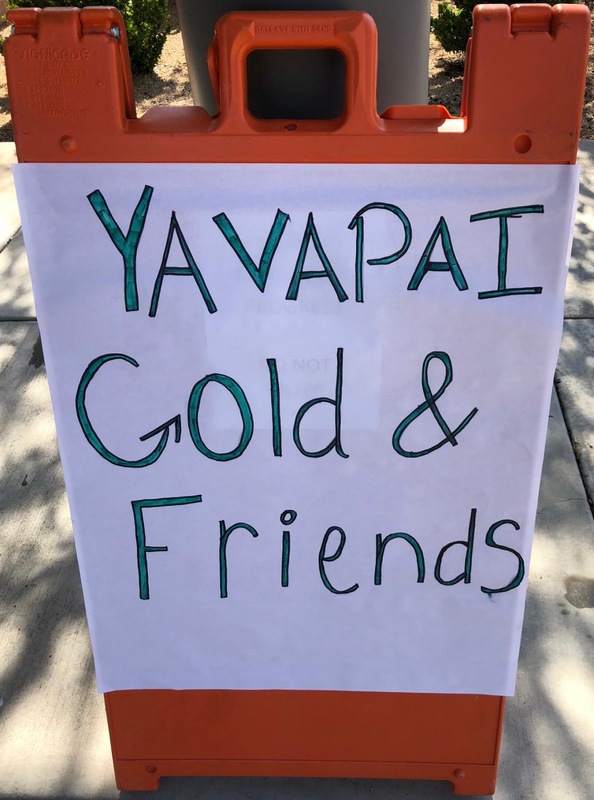 The team was called: Yavapai Gold! And to make things more interesting, he challenged the Yavapai County Juvenile Probation Department to form a team. 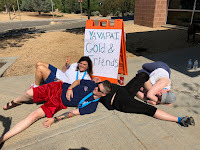 They responded with the creation of the Yavapai Platinum Team! Finally, the Yavapai County Adult Probation Department, after being challenged, responded with the creation of team as well. 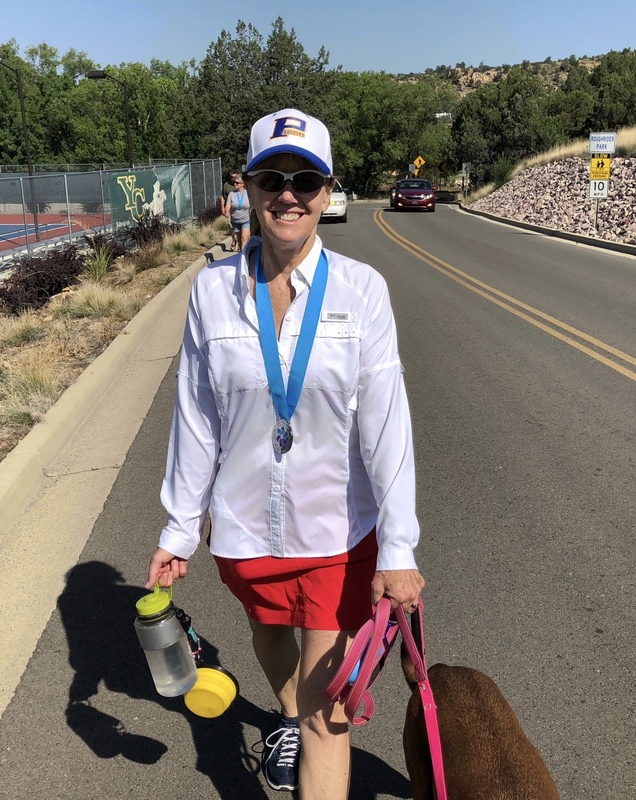 Yavapai Gold’s 5K walk was completed on Saturday, July 28thwith not only our team members, but allies and family, and a couple of dogs who seemed to enjoy being a part of such a worthwhile event. 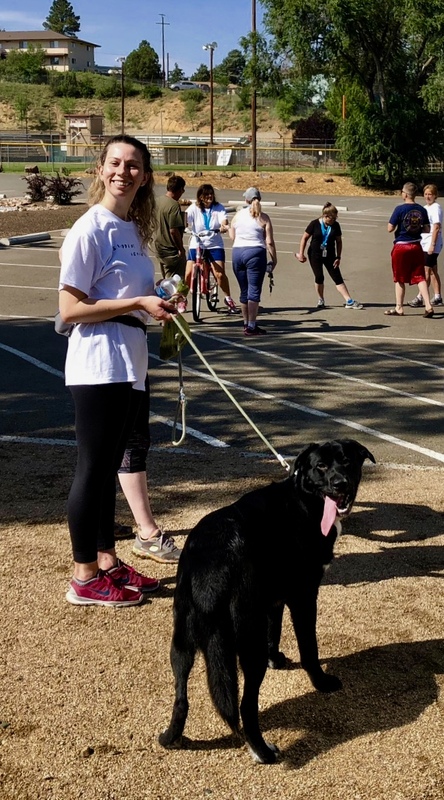 Not only has this Virtual 5K helped me personally with a renewed fitness goal and objective, I’m supporting an organization that is changing our world for the better in how we respond to disclosures of sexual violence and how survivors of such violence are treated not only by the criminal justice system, but by society in general. I’m proud to have earned my medal and look forward to additional challenges that EVAWI may come up with in the future.